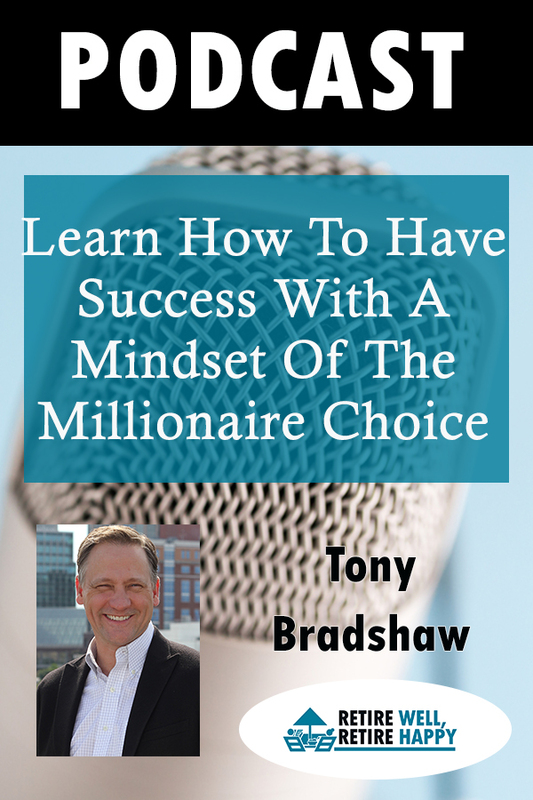 Tony Bradshaw wants us to learn how to have success with a mindset of the Millionaire choice. By choosing to be a millionaire you will be pointing in the right direction. Together with great money management will ensure success for Retirement. Have you every got to the end of the month and wondered where all the money went? 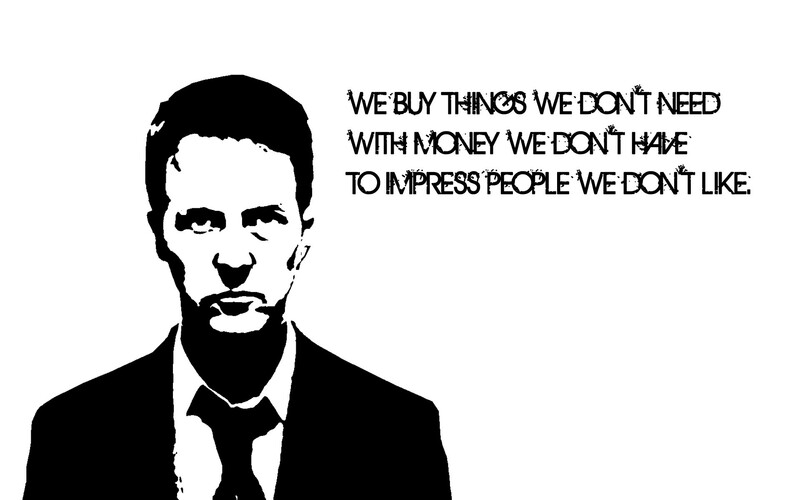 We have become a society driven by consumerism. We fall prey to the advertisements on TV and through social media for the latest and greatest version of technology gadgets. Did you rush out and buy the latest iPhone? Have a look around at your possessions and you will see where your money went. Perhaps you are the type to go out for dinner and drinks on a regular basis. Don’t forget about all the coffees you buy each day as well. It all starts to add up very quickly. If you do not prioritize saving money then a good chunck of your regular pay check will disappear with little to show for it. Oh you may have had a good time but in the future you can’t live off memories. Once you reach retirement age it is very difficult for most of us to be able to go back to work when we run out of money. You need to get into the savings habit from early on in your career. Savings add up over time. Tony Bradshaw grew up in a lower-income neighborhood in Nashville, TN. In 1996, he realized he was mismanaging his money and knew something needed to change. That’s when he set out to learn how to handle money better. At the age of 25, Tony made his Millionaire Choice. His choice was to become a millionaire by the age of 40. He accomplished his goal in 2011. A former Mechanical Engineer Tony went on to work in the financial education world. Here he helped shape the strategy, technology, and systems to deliver financial education to those in need. During his journey, Tony realized his own message and vision for helping people with their personal finances. 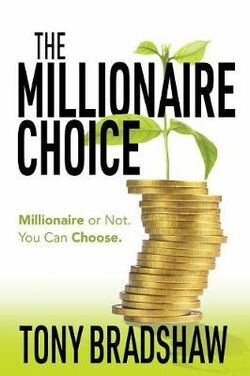 Tony Bradshaw is the author of The Millionaire Choice. Tony has the vision of helping anyone become a millionaire, no matter their income, ethnicity, or financial situation. Listen as Ann E Nelson talk to Tony Bradshaw about his book and his keys to success to having a mindset of the Millionaire Choice. How to make guaranteed profits with arbitrage opportunity is growing. There is now more and more self help information available on the web to assist you in finding arbitrage opportunity. If you want to know how to increase your success rate making money online then take a look at this space. I was introduced to Arbitrage through the crypto currency space. 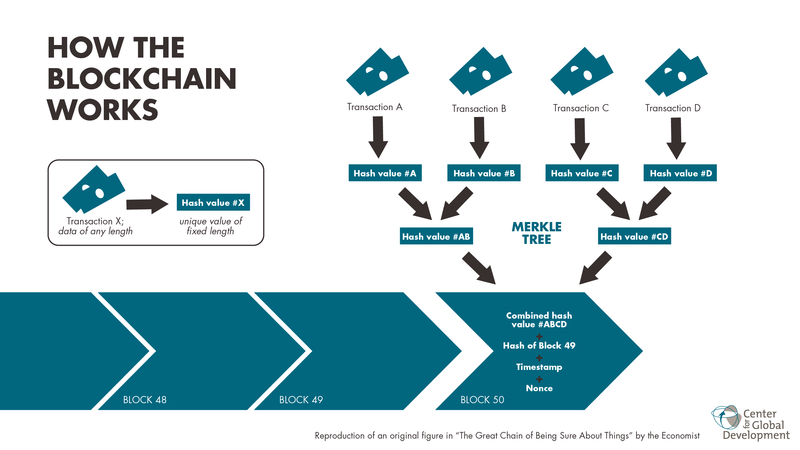 Once I delved into it I realised that there are many arbitrage opportunity out there. A brief look through history shows that this practise has been around since ancient times. It’s just the time frame has speeded up. Our ancestors were more restricted to the time it took to travel to different locations. 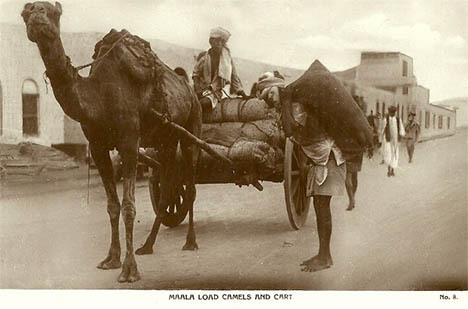 Overland travel took anwhere from 2 weeks to a month by camel. Thanks to the internet, online retail platforms, social media, block chain technology and artificial intelligence there are many ways you can learn how to make guaranteed profits with arbitrage opportunity. 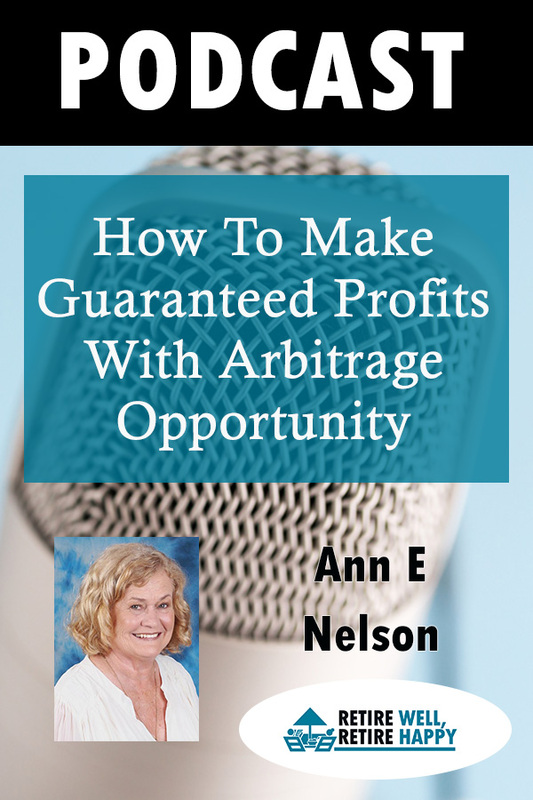 Listen as Ann E Nelson talks about ow to make guaranteed profits with arbitrage opportunity is growing. 3:10 History Lesson Arbitrage is not new. Kristin Johnson is on a campaign to make us beware of scams with tips for baby boomers on social media. Baby boomers make up 20 percent of the world’s population and social media platforms are connecting us right across the world. Kristin is on a campaign for us to learn how to use social media responsibly. We have many social media platforms available to us now but how well are we using them? Kristin Johnson is a prize-winning/prize finalist writer, blogger, ghostwriting/creative writing consultant, screenwriter, and editor. A graduate of the former Master of Professional Writing Program from the University of Southern California, she has published/collaborated on seven books. 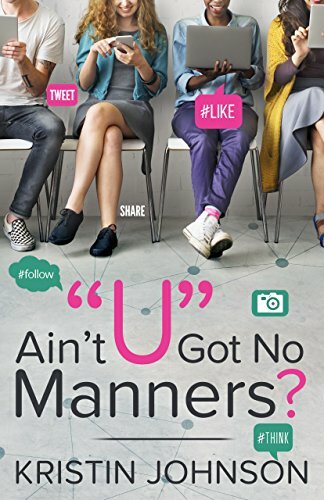 Her current book AIN’T “U” GOT NO MANNERS has been called “the Bible for social media”. She is a member of the Desert Screenwriters Guild, Society of Children’s Books and Illustrators, and Palm Springs. Ever Wish For a “#Think” Button? Facebook. Twitter. Cell phones, smartphones, iPads, email. The World Wide Web. The Internet of Things. You know and use these platforms every day. But, do you know how to use them effectively? Have you ever found yourself red in the Facebook? Been defeated by something tweeted? Regretted a Snapchat decision? Are you worried about your Selfie-esteem? Is there a secret to living our increasingly wired life, while not letting it consume you, so you can live your best life offline? More than just another etiquette book, AINT “U” GOT NO MANNERS? by author Kristin Johnson is your go-to guide with secrets and common sense for surviving and thriving in a world that increasingly blends your online life. Johnson’s guide helps identify pitfalls and difficulties that are prominent on the internet. Between fake news, disguised ads as endorsements, the general public needs more than just anti-virus software to fend off digital maliciousness. Johnson also provides the upside – an internet of true connectivity. She details the necessities of sites like GoFundMe or Kickstarter and shares their unbridled necessity for creating a silver lining even in the worst of tragedies. With an ever-evolving internet and so many unwritten rules, Johnson showcases best practices – and practical bests – for a new generation of sharing, posting, and tagging. Kristin Johnson is a very wise woman that has become very savy about the use of social media. 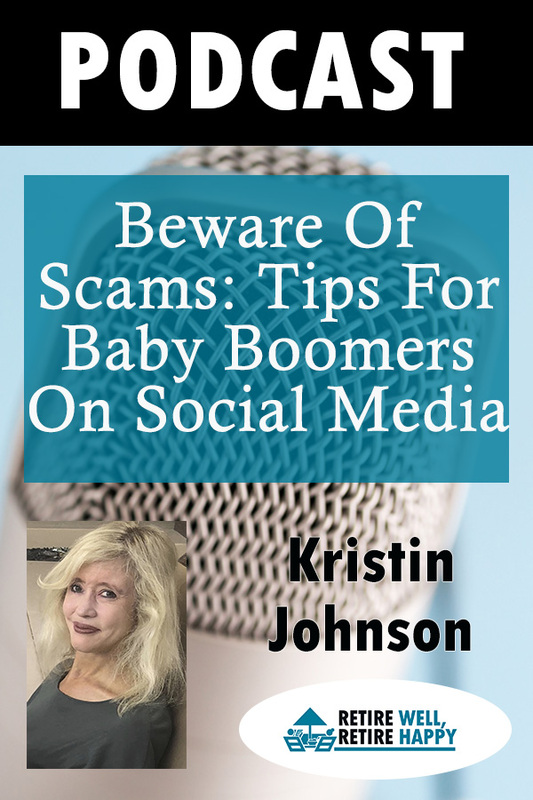 Listen to the podcast episode and hear Kristin’s warning to beware of scams on social media with tips for baby boomers on socail media use. 9:00 Have you ever regretted what you posted – Kristin suggests we need a ‘pause’ button. 20:40 Don’t feed the Twitter trolls! 22:00 Think before you post those holiday photos, are you advertising your house is vacant and could be broken into? 23:00 Kristin best tips for social media use. Larry and Rita Borden explain the advantages of planning your holidays in retirement. As mature travellers they are now sharing why you need to be fit and healthy to indulge your travel passion into your 80’s. Enjoy some great travel tips including finding a great airfare. 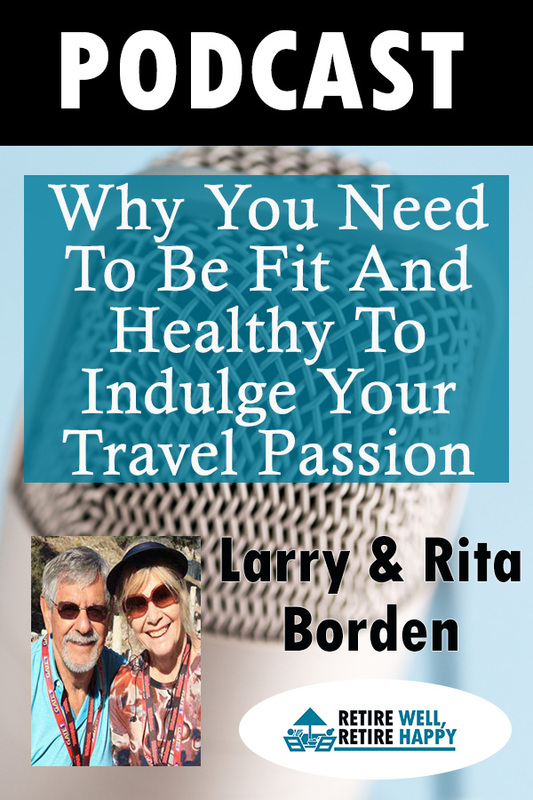 Rita and Larry share the love of travel. They truly enjoy getting out of their comfort zone at home and go see new places, both domestic and foreign. These intrepid seniors are travelling like flashpackers. This is where they go to foreign lands and follow the path of a backpacker but have more cash in their back pockets to afford a few more luxuries on their way. Rita and Larry are motivated by a sense of adventure and they are not letting their age get in their way. That is why you need to be fit and healthy to indulge your travel passion. There are too many places you cannot go if you are relying on a wheely walker to get around. Only one in ten older Australians over the age of 50 are engaging in exercise enough to make a difference to their physical fitness. If you want to be able to travel and enjoy a good array of activities that is on offer in those exotic locations then you need to have good fitness levels. 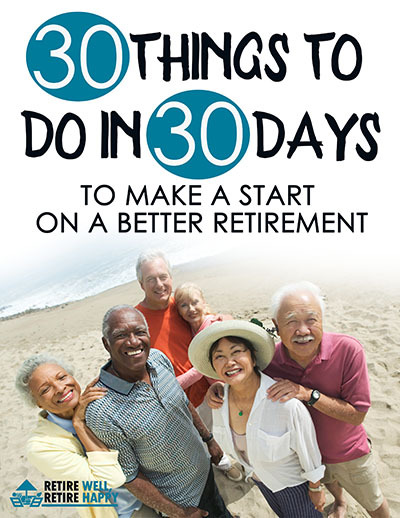 This will help you maintian your independence into old age as well as helping you see the world. The Bordens are now sharing their story in a blog to take followers along on their travels, experience the travel tips they have discovered and share stories with their readers. Followers will benefit from their attention to detail as they share how they painstakingly search airfares, places to stay and itineraries. Their methods stay the same for their travels but some of the tools change with availability. Learn how to enhance your travel experience. Have a listen to these fearless seniors and above all else, hit the road to create your own adventures. 20:25 What’s on the bucket list? 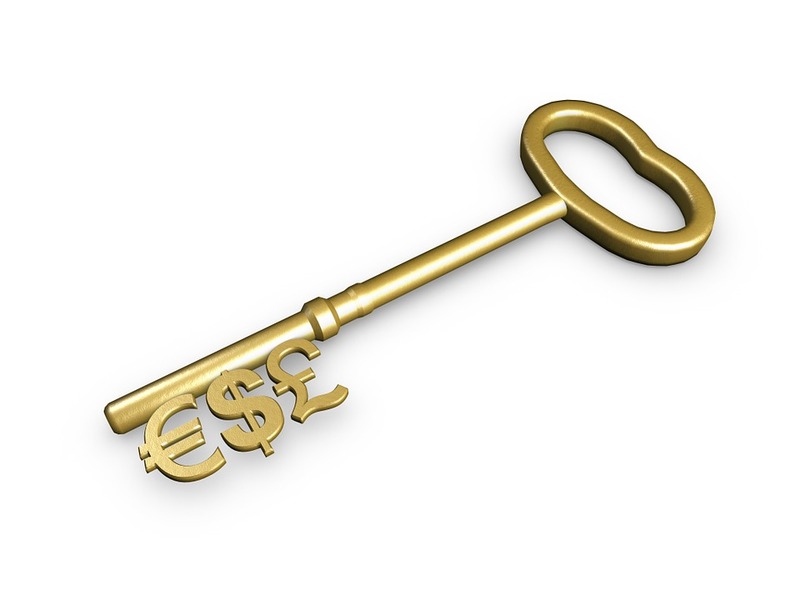 Expert reveals the secrets to a winning investing formula. 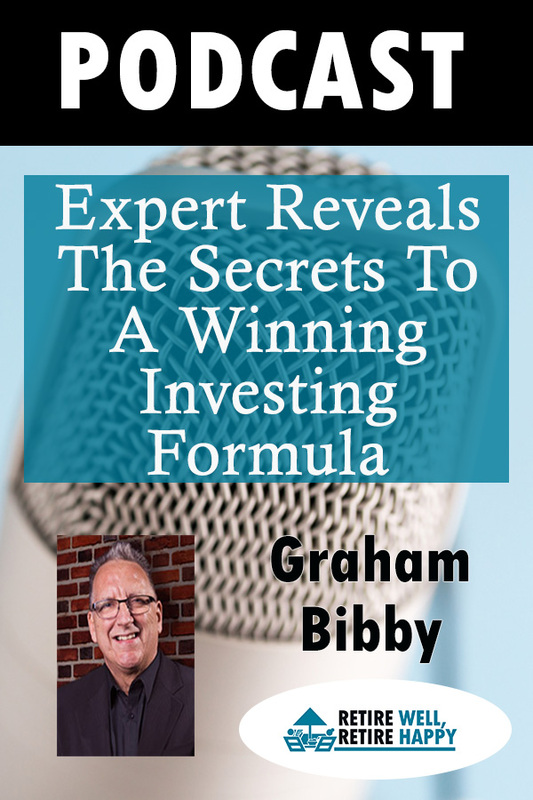 Investing opportunities are everywhere you just have to be open to them reveals investing guru of over 30 years experience and author, Graham Bibby. Sometimes you win in the investing game and sometimes you learn. Having the correct mindset is paramount to give yourself the chance to recognize great investing opportunities. Graham Bibby has run his own life from the age of 14 years. Graham is from a working class, government housing background in the United Kingdom. He aspired to wanting to rule the world at one stage with 14 companies and 300 plus staff. He has lived and worked on 3 continents starting his financial journey in the United Kingdom, moving to Hong Kong, then Thailand and now resides in Australia. Having a “you can do anything you wanto if you set you MIND to it” attitude sets Graham apart. His humble beginnings saw Graham in the early days washing floors and dishes coming from a family with no education. He is a firm beliver in self education and is a product of his mind and the power of creation, now living a life on his own terms. Graham now mentors people where he can and turned his hand to writing and has now authored several books. 23:00 What are the smart people doing?